Discussion in 'iMac' started by iBighouse, Dec 21, 2014. I would like to get a sleeve, perhaps similar in concept to the foam shipping sleeve, to cover my iMac display. I want it to provide just a little bit of protection whenever I may want to transport it to work with me, but want it to have some durability so using that shipping sleeve won't work. Ideally it need not cover the stand, just the front, back and edges of the display. Carrying handles or a shoulder strap would be nice, but not required. I think a zippered sleeve made from neoprene or wool felt or leather would be ideal. Has anyone ever seen such a sleeve, custom or not, anywhere? I have never seen such a design. But there are a bunch of carrying bags available for the iMac. They do cover the stand as well, but I fail to see how that would be a bad thing. Just google for "imac bag" and you'll find a few to choose from. You could find someone with sewing skills and make a custom one, but it will probably end up costing the same as the pre-made bags. I've seen those ugly bags too! 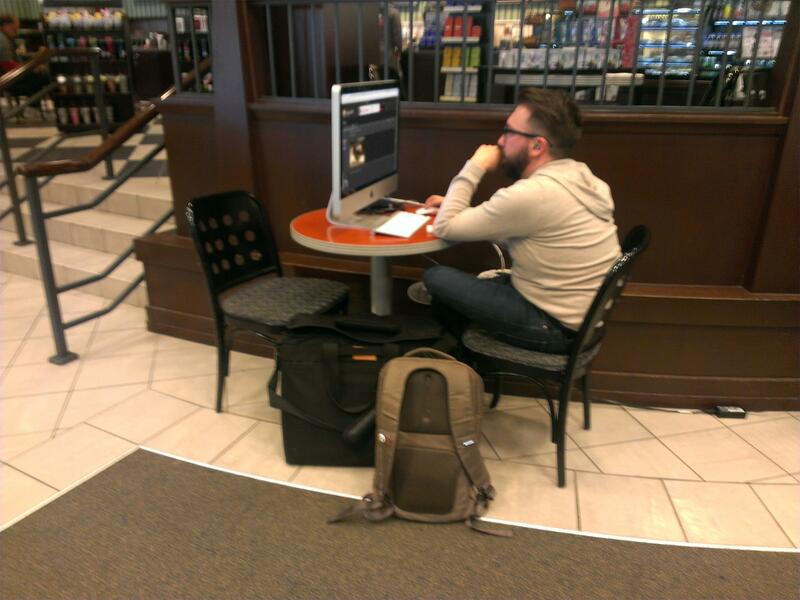 I don't want something that is really designed for lugging the iMac around in an airport type situation. I simply want a form-fitting type of sleeve that will offer a modicum of protection as I carry the unit from my car into the office...so if I'm a bit clumsy and tap the display whilst carrying it against a wall or brush it against a cubicle, I don't have to worry too much about scratching or marring the case or display. I may have to just order up some neoprene or wool felt fabric and break out the sewing machine and make one myself! I've seen theirs and it looks too thin and doesn't protect the rear of the case very well. It looks like a nice product, though, if you want to just keep dust off of and out of your imac when not in use. I'm going to stop by my local Beverly fabrics and see what they have in the way of wool felt. I think I'll just sew up my own. I wonder if I could get in trouble for sewing a white apple logo with stitching into the front of the unit??? Which one to prefer (good balance price/quality/protection)?! Only for short distance (by foot or car). Or is it throwing money away?! Any advice/experience for ordering within the LOWLANDS (BENELUX)? I followed the advice to google around. The "flight case company" looks reliable...?! note that he hasn't even purchased as much as a cup of coffee in exchange for hogging lots of space, electrical power and bandwidth. I suppose he's just waiting his plane ... nothing wrong here?! space, power and bandwidth ... ? not many difference sitting there with an i-device?! Where's the power cord? Does that type of iMac have a power brick? Thats' the only cord I see. Maybe the backpack is actually a power source and he's plugged into that!? I saw this and really like it! Good find! That looks like a good one. I like the keyboard/mouse storage in the back.